Hello! I’d like to start out by saying thank you to Anya for the opportunity to guest blog on Itchy Feet 🙂 You can catch my regular (by which I mean sporadic) updates on jessiclick.com or be thoroughly inundated with tweets (@613jess). I was never much of a traveler, growing up. My folks tried to arrange some family trips, but my brother and I were always pretty typical teenagers who didn’t want to spend all that time in the family van – if only I knew then what I know now! 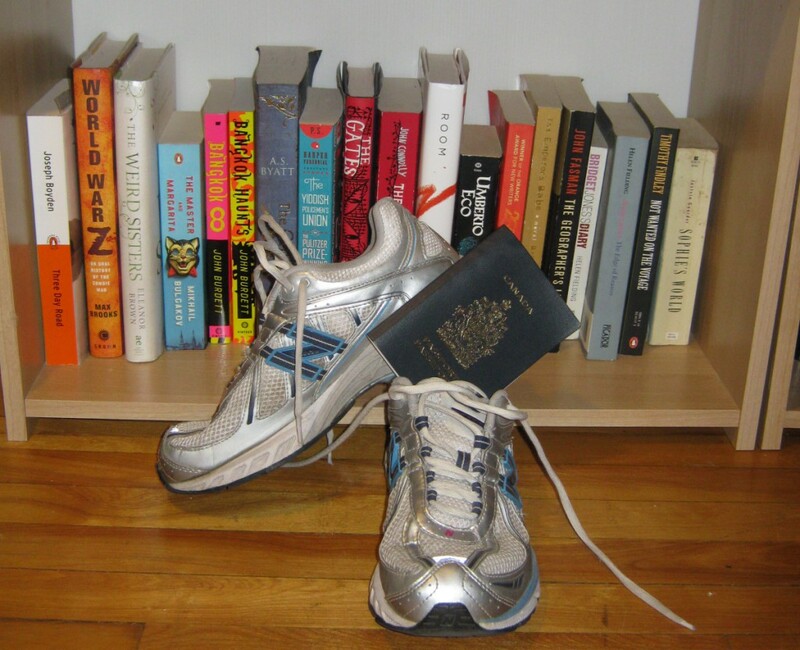 My first trips – that were for the sake of the trip – were in 2008, when I visited Vancouver in the spring, and Italy in the fall. I was hooked (but also broke)! The Italy trip was incredible, and I can’t wait to explore more of the world – but that trip to Vancouver was when it really sunk in how vast my own country is, and how fortunate I am to be able to travel within it. I’ve since travelled to Newfoundland (with Anya) and now to Alberta. Fortunately, my visit was before Alberta was hit by the recent devastating flash flooding, and have written the below post before the flooding happened. I’ve just added this little caveat now, and would encourage you to support those affected in Alberta by visiting the Canadian Red Cross website to learn about how to make a cash donation. I was travelling with a friend who was in Banff on business, so I had most of the days to myself while my friend worked and then we would get together for dinner. 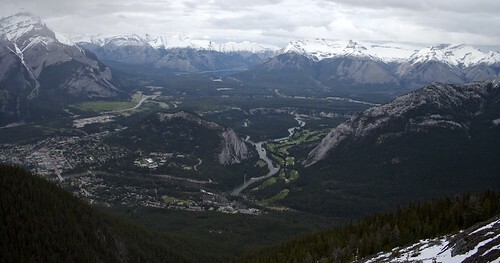 Banff is fairly easy to navigate – I got around the town on my own two feet most of the time, though there is public transit and plenty of taxis as well, as a tourist town. There are two sites in particular that I want to talk about – since the draw to Banff is the natural wonder that surrounds you, not the town (which is lovely and clean, though is just one giant tourist trap, with every store seeming to sell t-shirts and shot-glasses adorned with moose and maple leaves, not to mention a wealth of maple-based consumable products). The first site is the Cave and Basin National Historic Site, and the other is the Icefield Parkway and Athabasca Glacier. Basically the Canadian Rockies are so beautiful that your ‘to do’ list could literally be simply ‘look outside, wander around.’ But nonetheless, I was doing some research on things to see and do and came across the Cave and Basin National Historic Site – located in the town of Banff, it is the birthplace of Canada’s National Parks system. 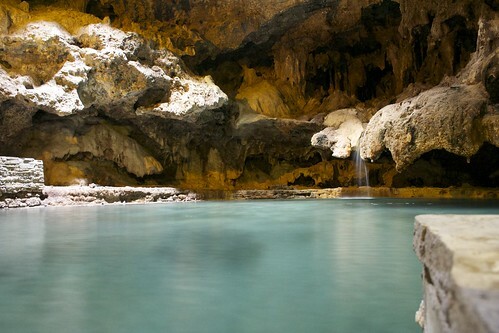 While working on the railway, three workers stumbled across a cave opening – had the guts to go inside despite the sulphur smell – and discovered a beautiful underground hot spring. 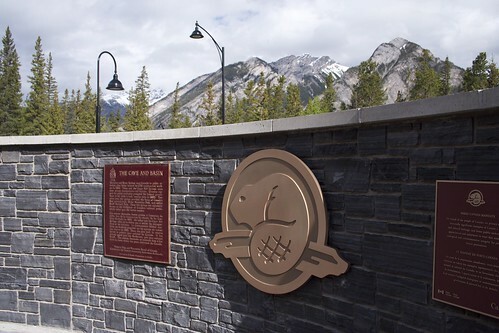 After the discovery came the plan – a plan to profit from this incredible place – sparking controversy over the ownership of the land, and in 1885 the Canadian government protected 26km2 of land, the Banff Hot Springs Reserve. In 1887, the Rocky Mountains Park Act expanded the protected area to encompass 674km2 of land – Canada’s first National Park, and the second in North America. Banff National Park, along with Jasper, Kootenay and Yoho National Parks, Mount Robson, Mount Assiniboine, and Hamber Provincial Parks, are also a World Heritage Site. The day of my visit called for rain – but as the weather changes quickly in the mountains, I was fortunate upon waking to find a beautifully clear day. I made my way on foot the 2.5km to the Cave and Basin National Historic Site, meeting a mule deer on the side of the road along the way. I arrived before the site itself opened, and so I wandered some of the outdoor trails – including the Discovery Trail and the Marsh Loop, both of which have lots of interesting information posted along them and offer stunning views of Cascade Mountain and Mount Norquay. Finally, I was able to enter the site – which has a display about its history – and at last the cave. Stunning. Outside, you are able to view the Basin, another hot spring on the site. There, I learned a bit about (and see, for real, live and in person) an endangered species, the Banff Springs Snail, the entire population of which apparently could fit in a 1L container. The Cave and Basin National Historic Site has recently reopened after some major renovations and building improvements, and as I have at other National Historic Sites I found the Parks Canada staff friendly, welcoming, and informative. It is well worth the stop. I’ve not done many organized tours in my limited travels, but after reading about the tour offered by Discover Banff Tours for the Columbia Icefield, I was convinced that this would be the way to see it. Discover Banff Tours is a smaller tour company operating out of Banff, and I’m really happy I went with them – their tour size was small (about 14 people), their guide was experienced, friendly and knowledgeable, and their price was very reasonable ($159/person for a 10 hour tour, complete with picnic lunch and the ice field explorer tour). Visit www.banftours.com to learn more about the other tour packages they offer. My morning started at 8:30 a.m. when a small tour van picked a few other guests and me up at the hotel. From there, we made our way to a site in town where some other guests were waiting and we hopped on a larger (but still smaller than a greyhound, again nice tour size) bus with our guide for the day. My tour had a few people from England, a couple from Ireland, some folks from Australia, another Canadian couple from Toronto, a woman from South Africa and another from Germany. 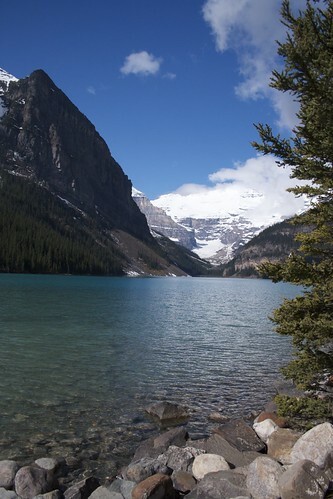 We were promptly whisked away to our first stop – Lake Louise. Wow. 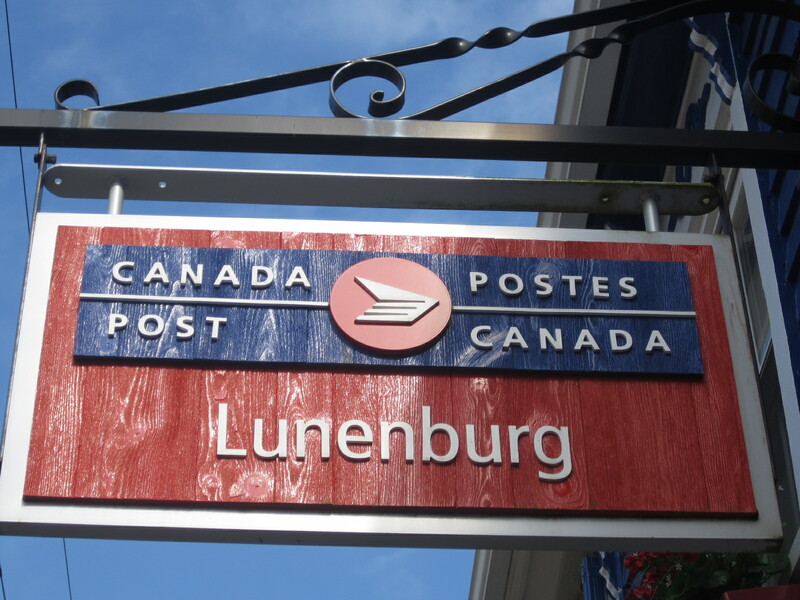 We had a number of stops along our journey, while our tour guide told us about the history of the area – predominantly from the perspective of the tourism industry, guides and outfitters, the early settlers to the area and the families who’s legacies are still evident throughout the town today. We learned about the difference between a glacier and an icefield, and about the wildlife in the area. Our lunch stop was near Saskatchewan Crossing – where the North Saskatchewan River meets the Howse River and Mistaya River on its way to British Columbia. Not a bad view for lunch, eh? 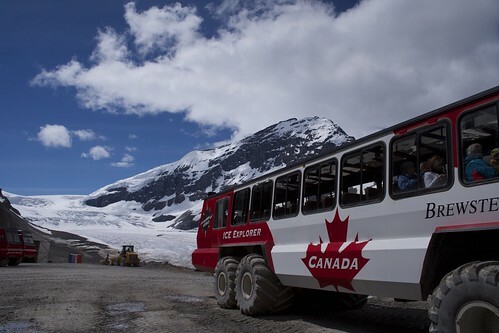 From there we weren’t far from the Columbia Icefield – after arriving at the centre, we transferred first to a greyhound along with other tour groups and individuals, which would take us on the eight minute journey to the ice explorers at the edge of the Athabasca Glacier. This eight minute ride is full of more information from another great guide – learning about the moraines, and what really stuck with me were the trees – all were very small, despite some being 300 years old – and others, in the distance, a remarkable 800 year old ancient forest. The trees are so small due to such short growing seasons. Also, there were areas where the trees only grew on one side – due to how cold the glacial winds are, freezing the sap in the trunks, stunting the growth. We transferred to the Icefield Explorer – an industrial machine worth over $1M each (they have a whole fleet of them – the only similar machine not located in Banff National Park is trotting around Antarctica). They are built especially to climb the incredibly steep moraine – basically wall of dirt and rock – at the side of the glacier. It’s an impressive piece of machinery, and again the guide was a delight. Our ride back included some discussion about the environmental impact of these tour groups driving and walking on the glacier. It was an interesting conversation, and I think it’s a delicate balance that needs to be achieved in our national parks – a balance between preserving and protecting our land and our water, and providing people with the opportunity to experience and make use of these incredible places. That access helps solidify a connection, and enhances your understanding of just what is at stake as our world changes. I went to Nova Scotia last weekend, for three days. Kind of a quick tour, yes – I really wish I had had a bit more time, maybe two days. We spent the first down on the coast. 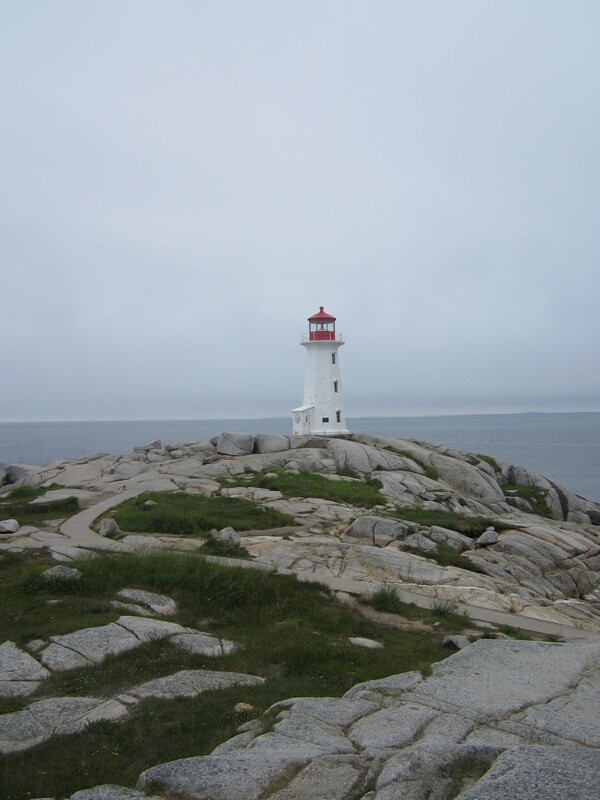 We drove down to Peggy’s Cove in drizzly, overcast weather. It’s still a pretty spot, even in the rain. We wandered around the rocks and lighthouse, popped into the small tourist shops, and had a snack at the Sou’Wester Restaurant. In better weather, I think we would have spent a bit more time. As it is, we only spent a few hours there, before hitting the road again to see the Swissair 111 Memorial. Swissair flight 111 went down in September of 1998 off the coast of Nova Scotia. 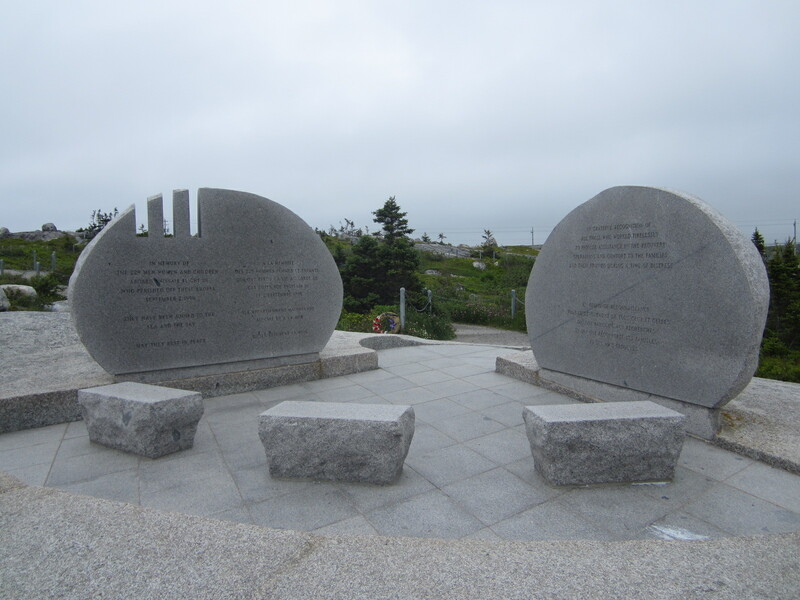 There are two memorials – one located just outside Peggy’s Cove, and the other located near Bayswater. After taking a somber moment at the memorial, we headed on down the 103 to Lununberg. 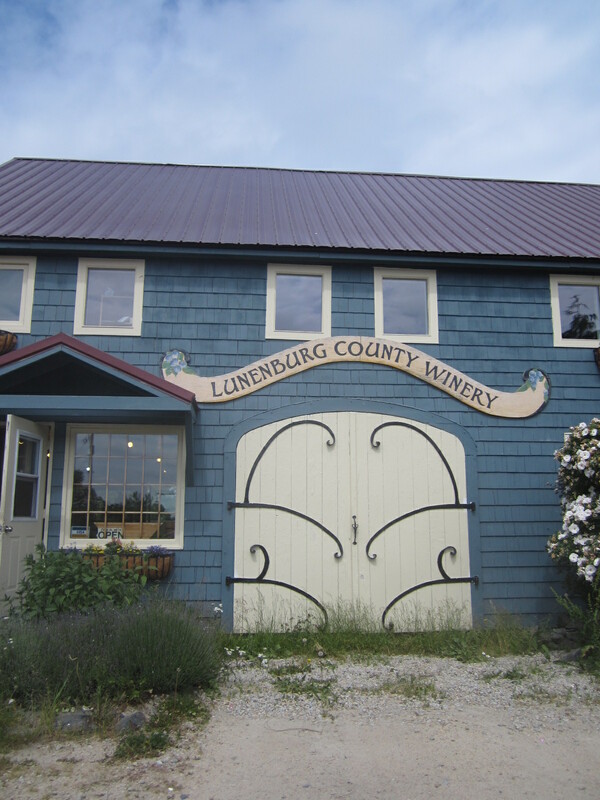 However, before we visited the town proper, we stopped off at the Lunenburg County Winery, located just north of Lunenburg. 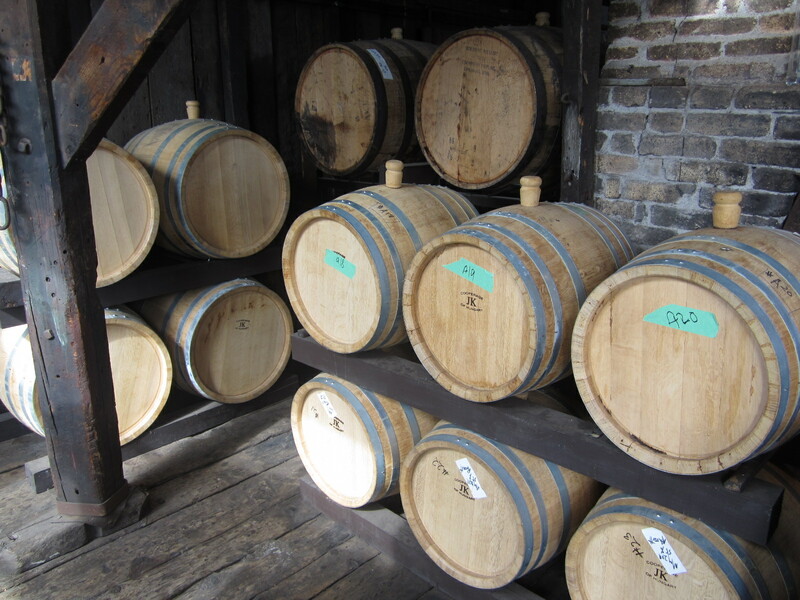 They make mostly fruit wines – blueberry, cranberry, elderberry, rhubarb, but offer a few grape wines as well. The staff is friendly and chatty, and offer tastings of their many wines. This is definitely an off-the-beaten track site, and when we went there were no tours offered, but perhaps they do in high season. 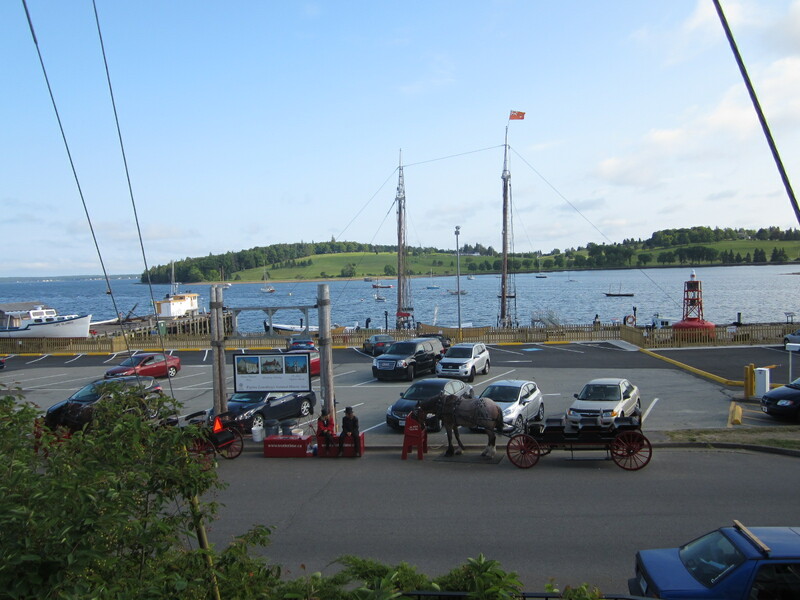 After the winery, we headed on down to Lunenburg to visit the city, and grab some dinner. After parking, we took a slow stroll around the city, hitting the waterfront first, where there are horse-drawn carriages waiting to take you on a ride through the picturesque city. 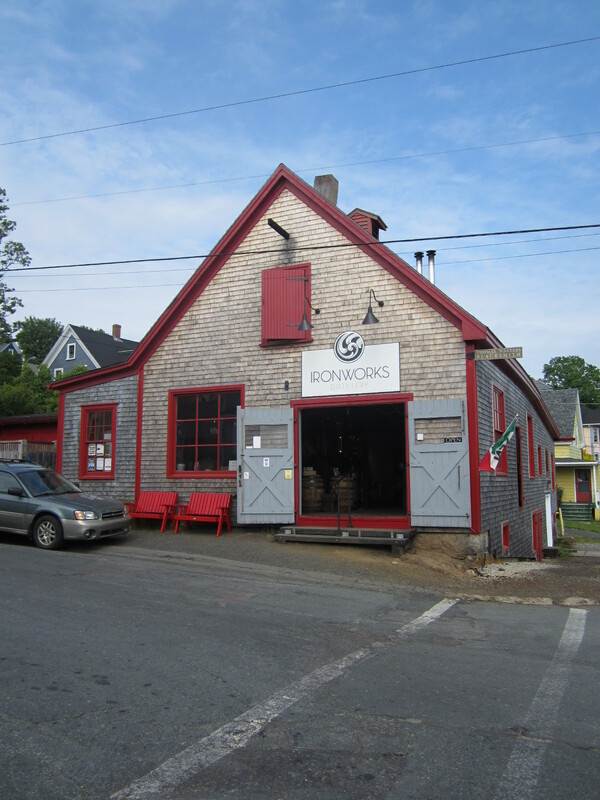 We continued on down Montague street, and found ourselves in front of Ironworks Distillery. What’s one to do after visiting a winergy? Of course we had to go in, and sample their products (made from Nova Scotia ingrediants.) We tried an apple vodka, a kiwi liqueur, rum, and an apple brandy. After the tasting at the distillery, we thought it would be a good idea to have some food. We wandered back down to the waterfront, and into “The Grand Banker”. An excellent restaurant, if a little chilly. A/C not withstanding, the food was fantastic – we ended up sharing brushetta as a starter, then a salad with chicken, dried cranberries, almonds and a raspberry vinagrette, and a steak sandwhich. After that it was back to Halifax, to relax in a pub before calling it a night at our hotel, The Four Points by Sheraton. In Halifax we hit several differnt pubs over the weekend. I think our favourite was the Economy Shoe Shop, a funky little pub with an excellent patio (great for people watching.) Inside seems to sprawl, with rooms in many directtions. Good food, good beer, good atmosphere. We also went to Maxwell’s Plum. They have a wide selection of beer, but service was a little slow when we went. Of course, it was also packed – it seems to be a local favourite. The patio is small, but provides a good place to people watch. The interior is spaceish, but it feels intimate. 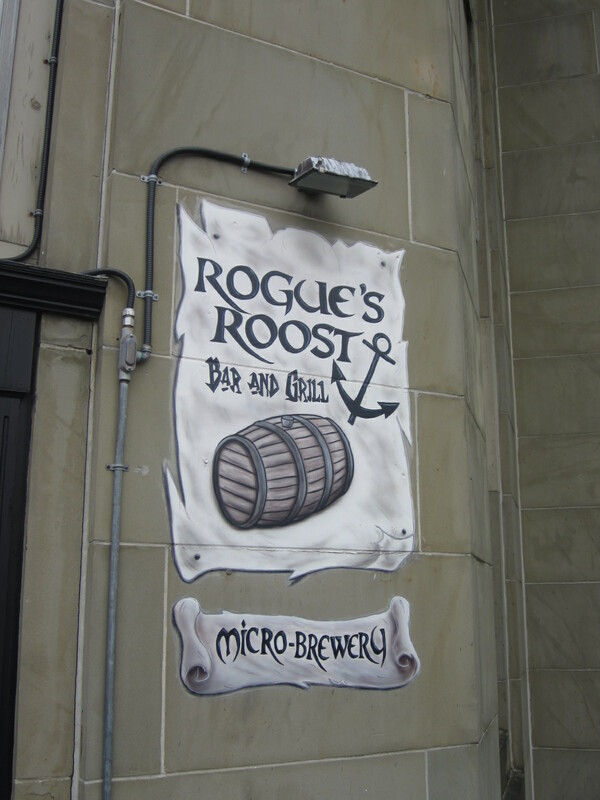 We also went to a small micro-brewery, The Rogues Roost. It felt a bit more clinical – it didn’t have a typical pub, dark interior. The staff was more than welcoming, however, which made the atmosphere a bit better. In Halfiax we also played tourists. 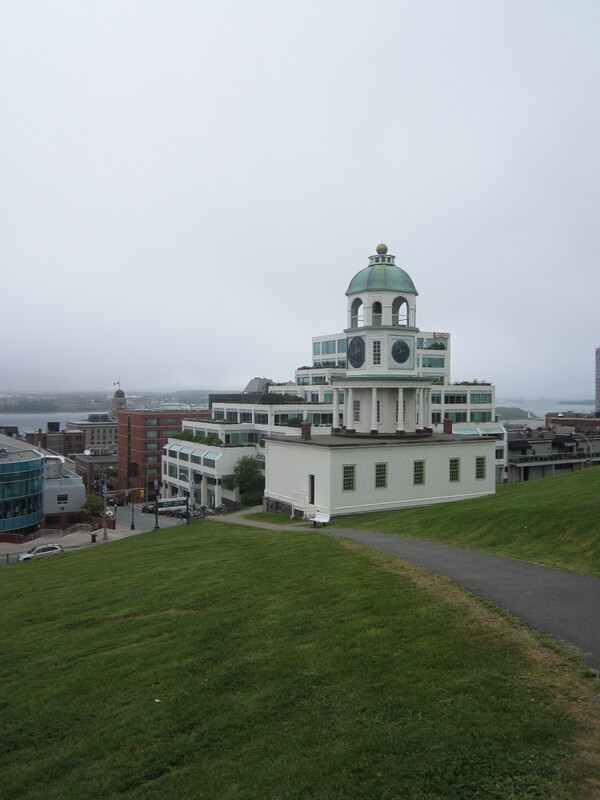 We visited the Citadel overlooking downtown Halifax, just in time to see them fire the noon-time gun. It’s not as loud as one would think, but it does reverberate through you. There isn’t as much to do at the Citadel as I would have liked. There are two museums, which your admission fee at the gate covers, and a small tourist shop. 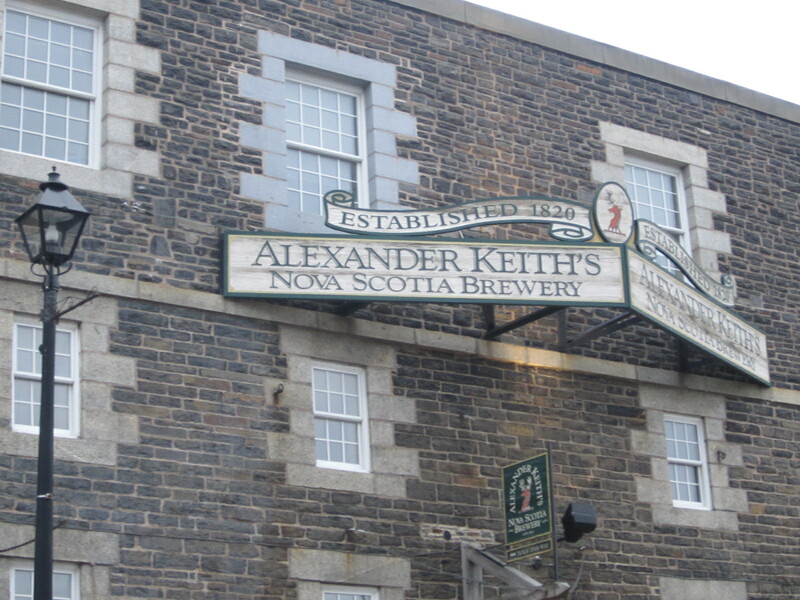 After wandering around the Citadel, and listening to the piper and drummer, we headed back down into the city to visit the Alexander Keith’s brewery. The brewery tour is…interesting. I think they really should warn people before they buy their tickets. Having done the tour before, we both knew what we were getting into. 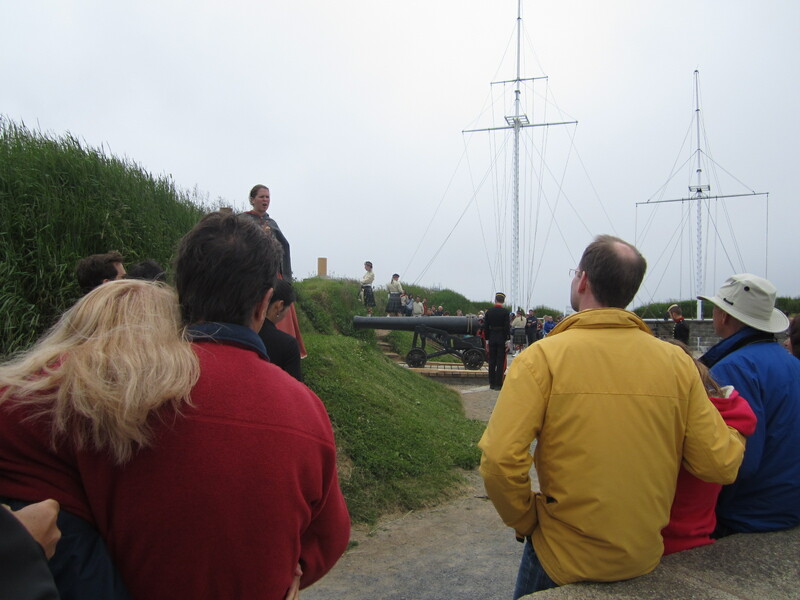 It’s an historical tour – actors wear period costumes, and talk about the founding and first years of the brewery. There is no modern component, it’s a tour through the history of the brewery, rather than the brewery itself. At the end of the tour, the actors pour drinks, then sing a few songs, before ushering us back into the 21st century. 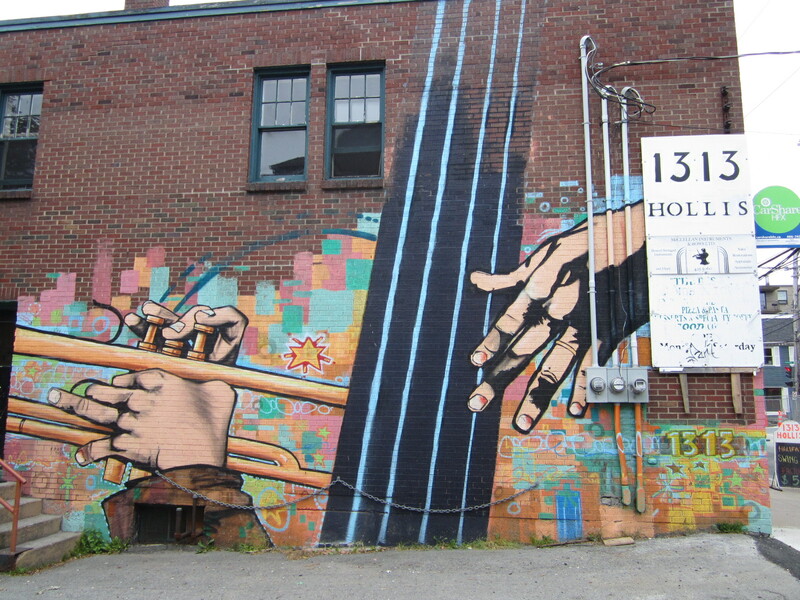 After that it was dinner at small Thai restaurant, Gingergrass, at Morris and Berrington streets. Excellent food – we had a “group dinner for two” that gave us a chicken satay skewer and spring roll as a starter, followed by hot and sour soup. Our main meal was chicken in a red curry sauce, and a spicy beef satay. After that, dessert was served – our choice of ice cream (coconut and chocolate) and fried bananas. The restaurant is really small, and food is slow to arrive, but well worth it. Little did we know that they closed at 9 pm, at 10 we were just getting to dessert! But not once did the staff rush us, or make us feel unwelcome. It’s definitely worth a visit!